Portions of some maps have been scanned by NewChurchHistory.org and are available here in jpg or gif format. Some complete maps are available in Adobe Acrobat format (pdf); these have been provided courtesy of Franklin Maps in King of Prussia, PA. To view pdf files you need to have Adobe Acrobat installed (you can download the program for free here). 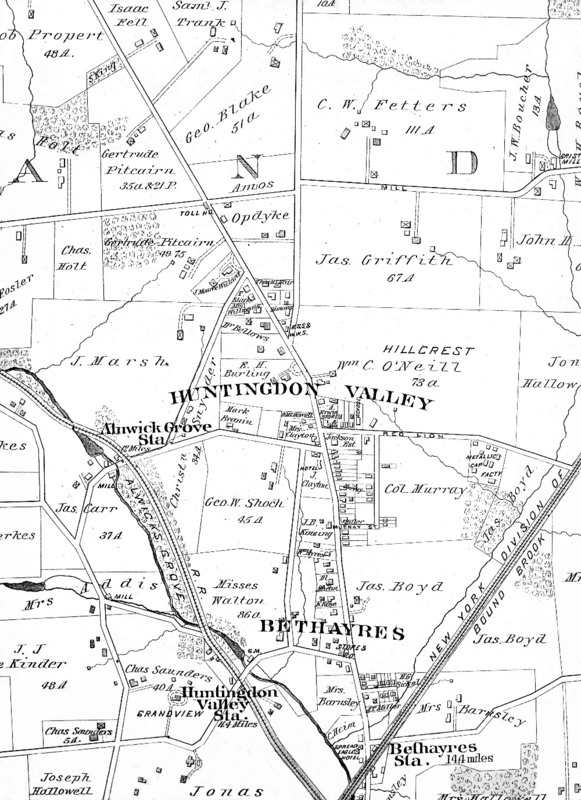 The Old York Road Historical Society in Jenkintown, PA, is an excellent source for early local atlases and maps: see their list of property atlases and maps. Atlas of the County of Montgomery and the State of Pennsylvania from actual surveys & official records. Compiled and published by G.M. Hopkins (Philadelphia, 1871). Sources: B. Erik Odhner; The Old York Road Historical Society, Jenkintown, PA.
High resolution image (detail, 937K jpg) here. C.M. Hunter, Atlas of Boroughs & Towns in Philadelphia, Bucks and Montgomery Counties on Line of North Pennsylvania R.R. 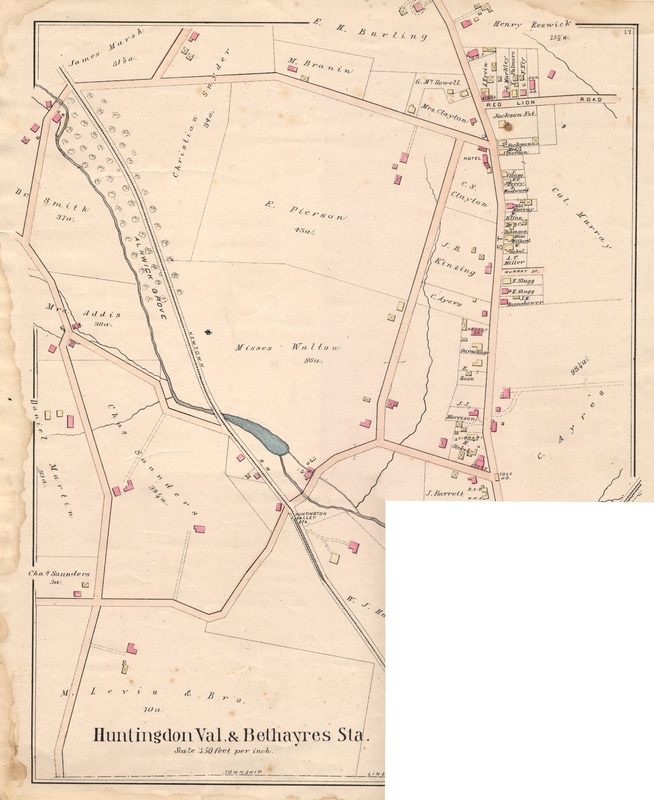 and Branches, Bound Brook Railroad to Langhorn, also Plans of Newtown & Hatboro. Published by J.D. Scott (Philadelphia, 1886), plate 17. There is evidence that, long before the Academy of the New Church's move from Philadelphia out "to the country," Alnwick Grove Park was a popular destination for early Academy summer picnics. 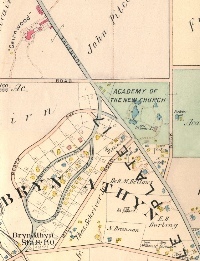 According to New Church Life, in 1880, "on June 19th the Academy held its third annual celebration in the picnic grounds near Alnwick Grove, Pa., in the immediate neighborhood of the tract of land which, some twenty years later, was named 'Bryn Athyn'" (1917, 596). 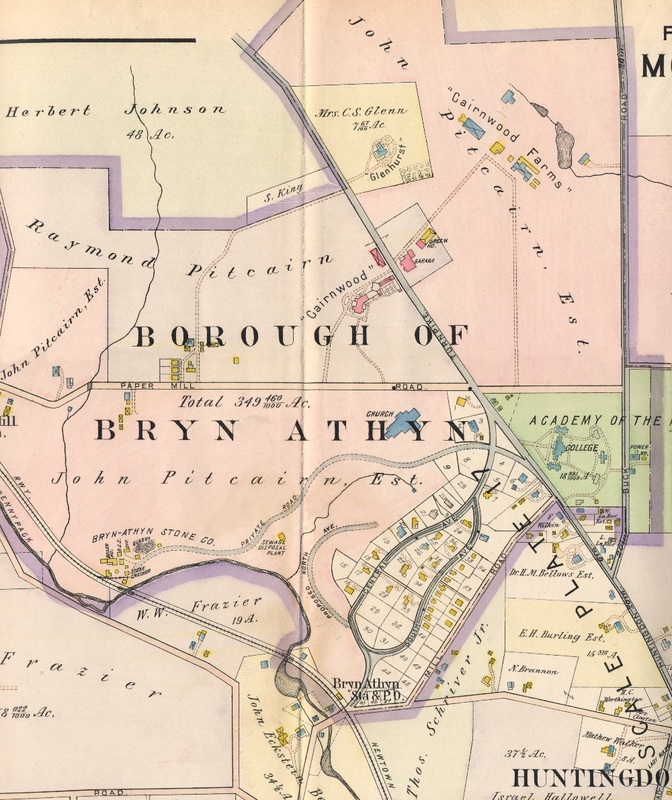 Robert Glenn, an Academy member, chose the area for his summer retreat in 1888, and recommended that John Pitcairn purchase land there: "Robert Glenn spent last summer at Beth Ayres on the Bound Brook Railroad about 15 miles from Philad. and liked the country very much" (letter from Pitcairn to Walter Childs, 1/31/1889). The Academy group began to visit the area regularly after 1889, when John and Gertrude Pitcairn purchased the Knight and Yerkes farms, the present location of Cairnwood, Bryn Athyn Cathedral, and Glencairn. They may have increased their visits to Alnwick Grove Park at that time, in connection with their summer church services and meetings on Knight's Hill. Source: Academy of the New Church Archives, Swedenborg Library, Bryn Athyn, PA.
High resolution image (detail, 964K jpg) here. Atlas of the Properties along the North Pennsylvania Bound Brook Pennsylvania Railroads from Philadelphia to North Wales & Langhorne. Author: G. W. Baist (Philadelphia: 1891), plate 15. 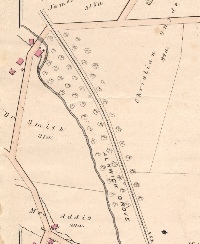 Plate 15 shows Alnwick Grove, Alnwick Grove Station, Fetters Mill, and property purchased in the name of Gertrude Pitcairn (future site of Cairnwood, Bryn Athyn Cathedral, and Glencairn). Source: Unknown. This is a photocopy. High resolution image (detail, 429K jpg) here. 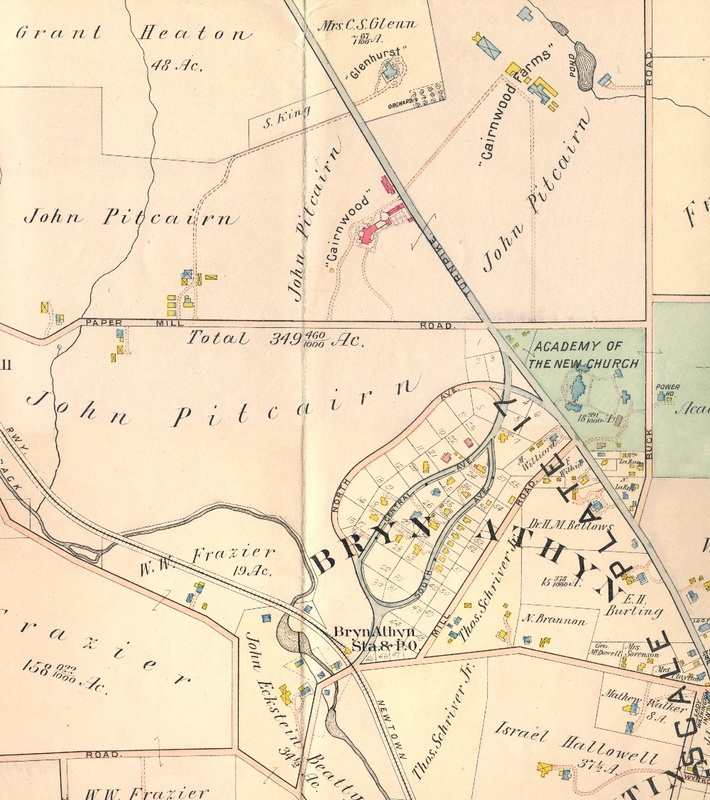 Property Atlas of Montgomery County, Pennsylvania. Compiled by M. A. Naeff, from Official Records, Private Plans, Actual Surveys. Author: M. A. Naeff, comp. ; published by J. L. Smith (Philadelphia: 1893), plate 13. Plate 13 shows six properties purchased in the name of John Pitcairn, as well as the original purchase made in the name of Gertrude Pitcairn. High resolution image (detail, 363K jpg) here. Academy of the New Church, Moreland, Pa., Revised Preliminary Plan, Olmsted, Olmsted and Eliot, Landscape Architects, Brookline, Mass., 11th May 1893, 1234-8. 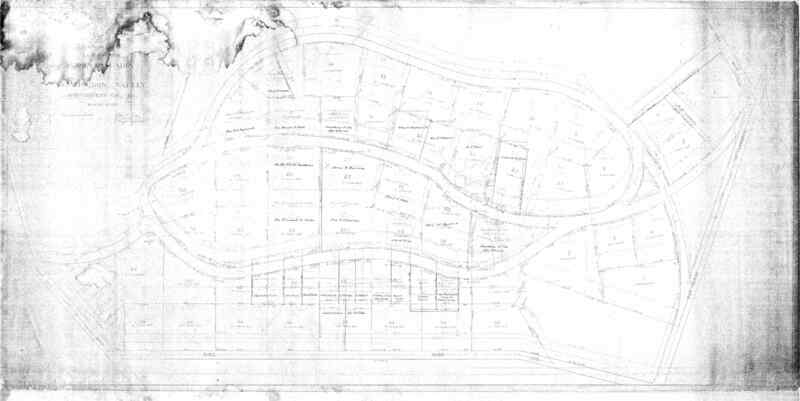 See also Revised Preliminary Plan for the Subdivision into Roads and Building Lots of Lands belonging to John Pitcairn Esq., Moreland, Pa. Showing Site for the Academy of the New Church, Olmsted, Olmsted and Eliot, Landscape Architects, Brookline, Mass., June 15th, 1893, 1234-11. A building committee was formed at this time consisting of John Pitcairn, Rev. Eugene Schreck, and Robert Glenn. 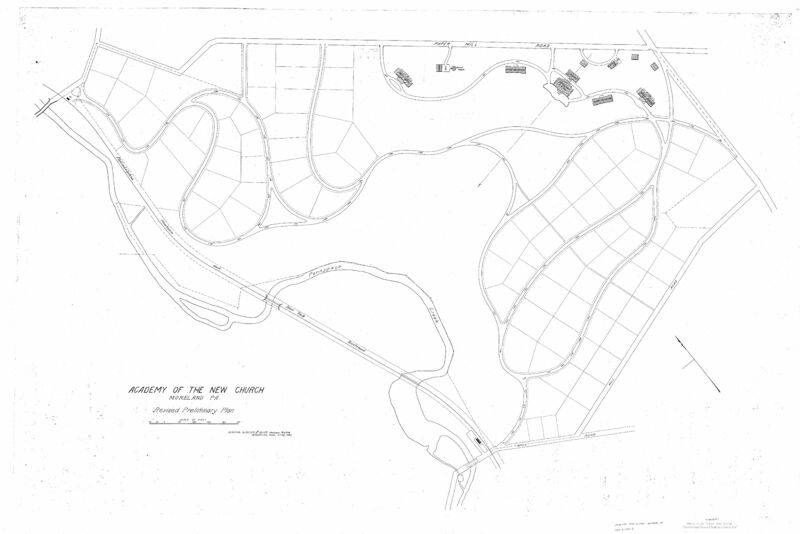 In 1893 several different versions of a plan for the New Church settlement were drawn up by the famous landscape architecture firm of Olmsted, Olmsted and Eliot (Frederick Law Olmsted had earlier designed Central Park in New York City). 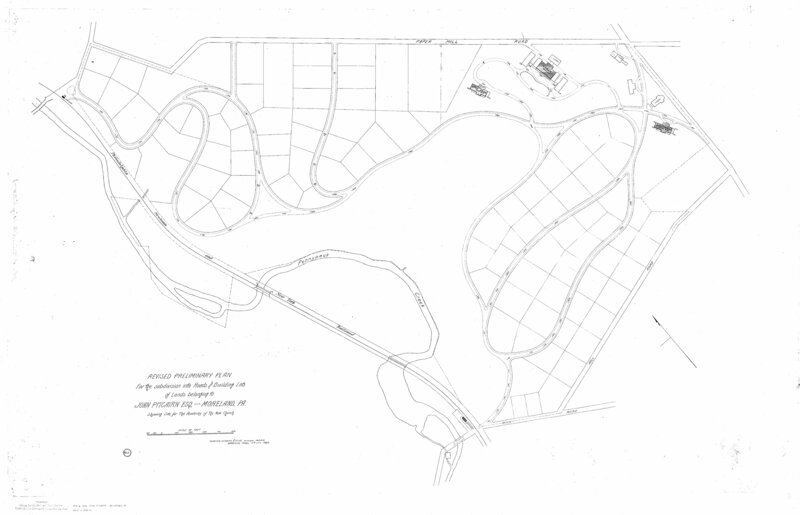 The ambitious plan for the expanding real estate holdingsstill owned, at this point, entirely by John Pitcairnincluded more than 80 full-size lots for individual residences, arranged along an elegantly non-linear road system. Some of the roads were never built, but this plan marks the origin of the roads that now make up what is called the "Loop," i.e. Alnwick Road and South Avenue. 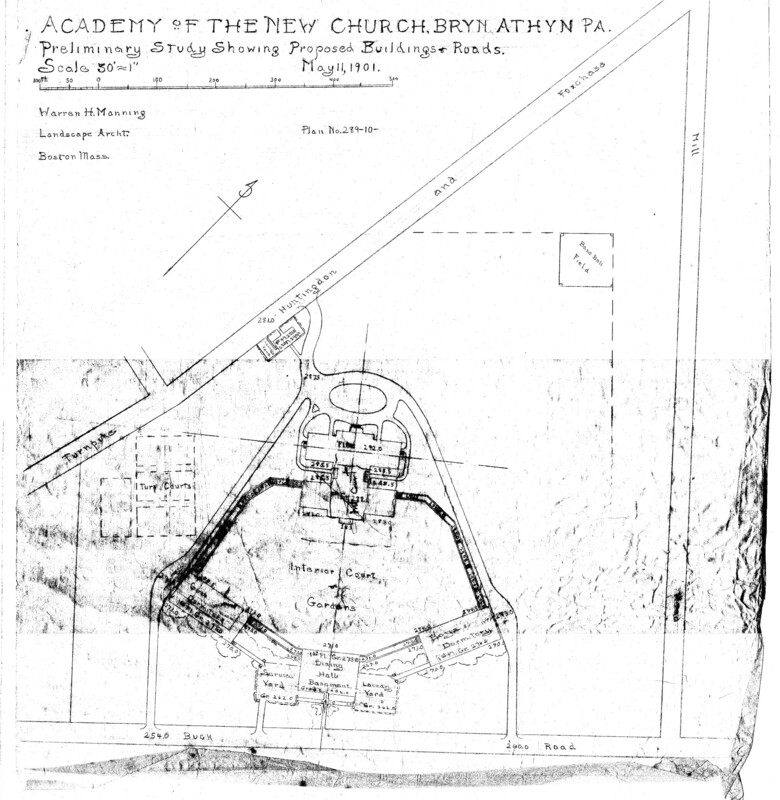 Two different versions of the campus were proposed in the 1893 plans, with the Academy buildings located in the area now occupied by the Bryn Athyn Cathedral. 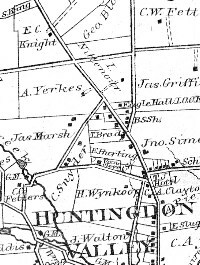 (This location for the Academy buildings would eventually be abandoned for the present location on the other side of Huntingdon Pikesee the 1901 plan by Warren Manning.) Both versions of the plan included a main school building with an adjacent library, a house for the Chancellor (at that time Bishop William Henry Benade), and two separate buildings for non-resident students (the "Boys' House" and the "Girls' House"). Some other proposed features included a chapel near Huntingdon Pike, a stable, and a water tower. "[Charles] Eliot (185997) was born in Cambridge, Mass., where his father was president of Harvard University. On graduation from Harvard in 1882, he pursued special horticultural courses at Bussey Institute to prepare himself for the profession of landscape architecture. In 1883 he became an apprentice for Frederick Law Olmsted and Company. . . . [I]n 1886, Eliot opened his own office and was immediately involved with work of considerable importance. . . . Following the untimely death of their partner Henry Sargent Codman, Frederick Law Olmsted and John Charles Olmsted pleaded with Eliot to join their firm. In March 1893 Eliot agreed, and the name was changed to Olmsted, Olmsted and Eliot. . . . Eliot died in 1897 at the threshold of a brilliant career. His death was an irreparable loss to the field of landscape architecture and the American environmental movement" (Miller, E. Lynn. "Charles Eliot." In American Landscape Architecture: Designers and Places, edited by William H. Tishler, 5355. Somerset, New Jersey, U.S.A.: John Wiley & Sons Inc, 1995). 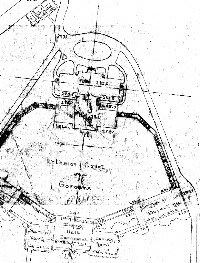 Source: Copies of these plans, including digitized copies, are located in the John and Gertrude Pitcairn Archives, Bryn Athyn, Pa.
Low resolution image, drawing 1234-8 (100K gif) here. High resolution image, drawing 1234-8 (979K jpg) here. Low resolution image, drawing 1234-11 (97K gif) here. High resolution image, drawing 1234-11 (974K jpg) here. 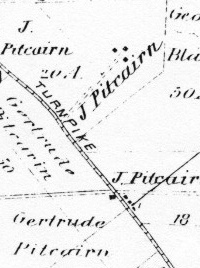 Plan of lots laid out for John Pitcairn at Huntingdon Valley, Montgomery Co., PA. Scale  1"-50'. Philadelphia, Jan. 7 1897, John H. Dye, Engineer & Surveyor. Source: An original copy of this plan, and also a digitized copy, is located in the Raymond and Mildred Pitcairn Archives, Bryn Athyn, Pa.
Low resolution image (407K gif) here. High resolution image (1.42MB jpg) here. Academy of the New Church, Bryn Athyn, Pa. Preliminary Study Showing Proposed Buildings and Roads, May 11, 1901. Warren H. Manning, Landscape architect, Boston Mass. Plan No. 289-10. "Warren H. Manning (18601938) began his career working in his father's nursery in Reading, Mass. From 1888 to 1896 he was employed by Frederick Law Olmsted and John Charles Olmsted in their Brookline office. . . . In 1896 Manning became an independent landscape designer, completing projects he had initiated in the Olmsted office and securing work from the many clients he had met there. . . . The Manning office did a wide range of work from 1896 until his death. . . . Campus plans and design recommendations were prepared for state universities throughout the country. Elementary and high school plans also were completed for locations in 15 states" (Grundmann, William. "Warren H. Manning." In American Landscape Architecture: Designers and Places, edited by William H. Tishler, 5659. Somerset, New Jersey, U.S.A.: John Wiley & Sons Inc, 1995). Source: An original copy of this plan, and also a digitized copy, is located in the John and Gertrude Pitcairn Archives, Bryn Athyn, Pa.
High resolution image (974K jpg) here. Atlas of the Properties on the Reading Railway Embracing Cheltenham, Abington, Springfield and Parts of Moreland and Whitemarsh Townships. 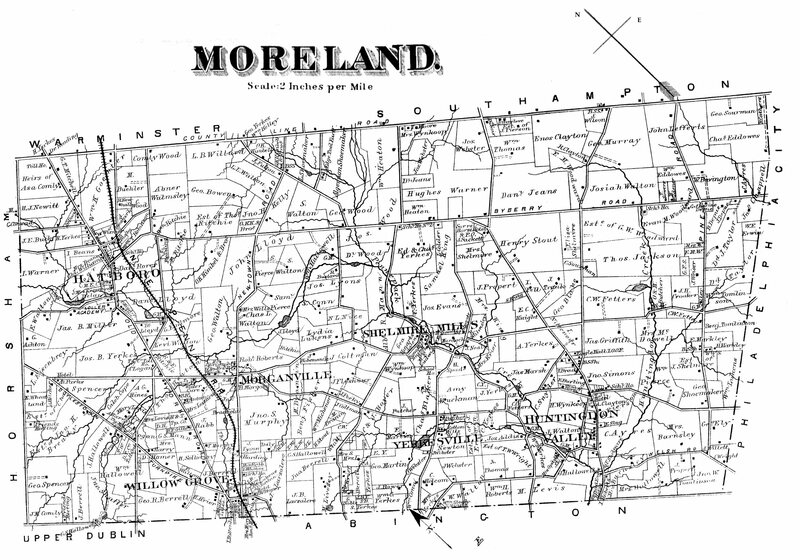 Plan of the Huntingdon Valley Moreland Township. Author: A. H. Mueller (1909), plates 16 & 17. Plate 16 (500 ft per inch) includes the "Loop," all Academy of the New Church properties, and the Pitcairn estate. 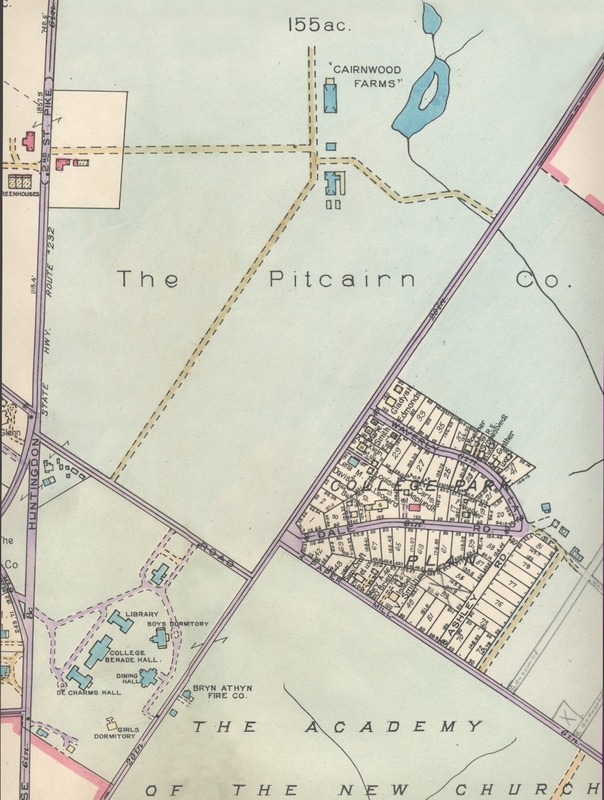 Plate 17 (250 feet to an inch) leaves out much of the Pitcairn estate but includes the names of many other property owners on the "Loop." Sources: Academy of the New Church Archives, Swedenborg Library, Bryn Athyn, PA; Franklin Maps in King of Prussia, PA (pdfs). High resolution image plate 16 (detail, 428K jpg) here. Adobe Acrobat image plate 16 (complete, 769K pdf) here. High resolution image plate 17 (detail, 425K jpg) here. Adobe Acrobat image plate 17 (complete, 807K pdf) here. 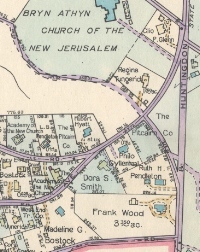 Atlas of the North Penn Section of Montgomery County, Penna., Embracing Cheltenham, Abington, Springfield, Upper Dublin and Parts of Moreland, Whitemarsh, Whitpain, Lower & Upper Gwynedd Townships. Author: A. H. Mueller (1916), plates 16 & 17. Plate 16 (500 ft per inch) includes the "Loop," all Academy of the New Church properties, and the Pitcairn estate. 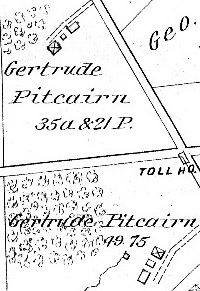 Plate 17 (250 feet to an inch) leaves out much of the Pitcairn estate but includes the names of many other property owners on the "Loop." 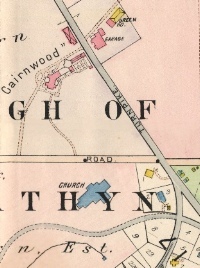 Plate 16 of this 1916 version of the map shows Bryn Athyn Cathedral, which was not dedicated until three years later. Sources: Ed Gyllenhaal (plate 16 only); Franklin Maps in King of Prussia, PA (pdfs). High resolution image plate 16 (detail, 473K jpg) here. Adobe Acrobat image plate 16 (complete, 640K pdf) here. High resolution image plate 17 (not yet available). Adobe Acrobat image plate 17 (complete, 669K pdf) here. 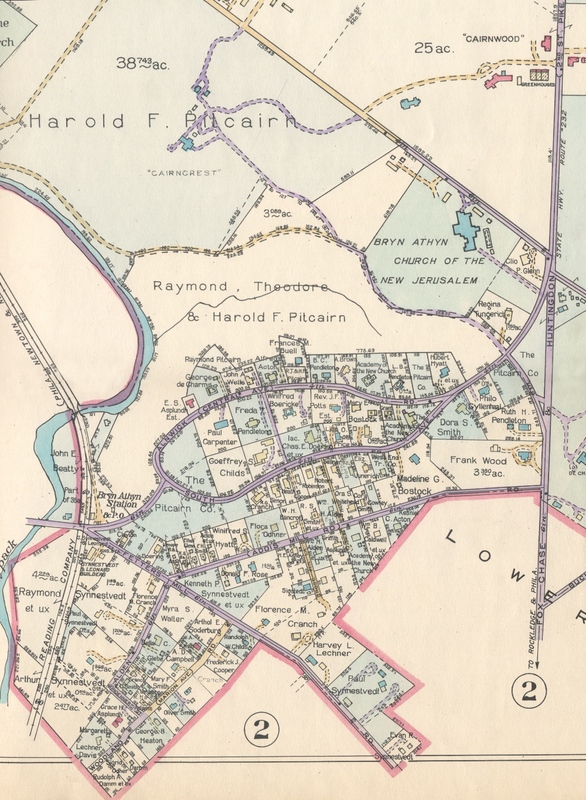 Property Atlas of Montgomery County, Penna., Volume A, Including the Townships of Lower Moreland, Upper Moreland, Horsham, Montgomery, Lower Gwynedd, Upper Gwynedd and the Boroughs of Bryn Athyn, Hatboro and North Wales. Published by Franklin Survey Company, (Philadelphia, 1934), plate 1. 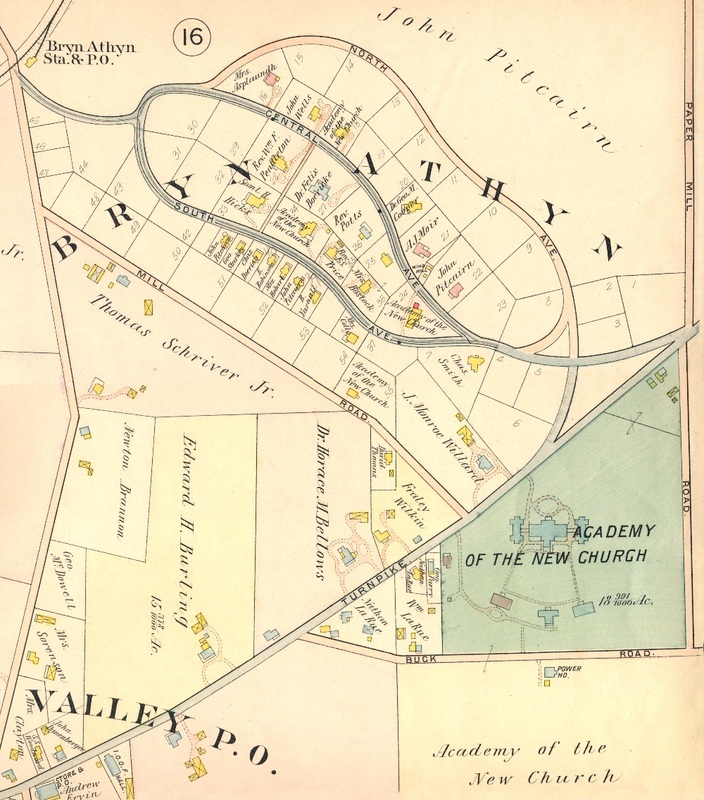 Plate 1 includes the entire borough of Bryn Athyn (300 feet to an inch), many individual property owners on the "Loop," Alden Road (then known as Addis Mill Road), College Park, and various Pitcairn Properties, including Cairncrest, and Glencairn (still under construction). 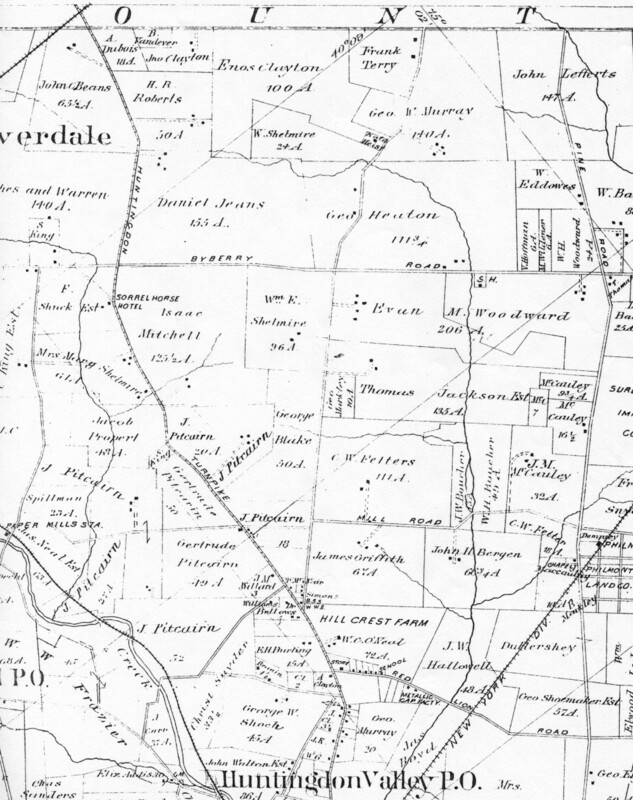 Sources: Ed Gyllenhaal; Franklin Maps in King of Prussia, PA (pdf). High resolution image plate 1 (detail, west, 755K jpg) here. High resolution image plate 1 (detail, east, 697K jpg) here. Adobe Acrobat image plate 1 (complete, 303K pdf) here.